Masterbatch as a simple colouring agent has been with us for some time, but we wanted to find out how far things had come. We posed three separate questions to UK based specialists that we thought would be of interest to our audience. As well as technical advances, aspects such as long-term environmental impact are also covered. Question One – Can masterbatch help to increase plastic recycling rates in the UK? 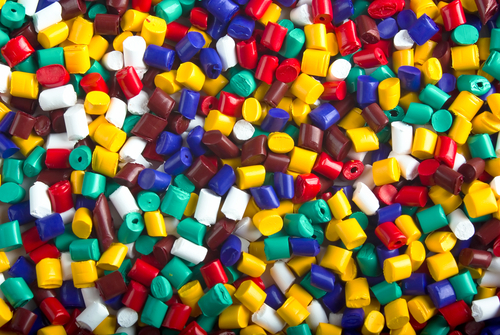 Answer fielded by Tony Gaukroger – Colour Tone Masterbatch Ltd.
Read Tony’s informative blog about how they met the challenge of allowing plastic waste to be readily identified by modern equipment that uses optical sorting technology. Black plastics in particular are prone to absorbing certain wavelengths, this in effect ‘blinding’ the sensors that rely on analysing reflected light. Question two – Do masterbatch and additive producers have a role to play in the development of new cutting edge materials? 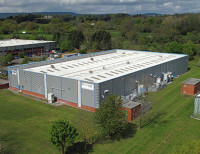 Answer fielded by Silvergate Plastics. Nano materials typically made from carbon are being dubbed the new wonder technology, as they can improve mechanical performance whilst reducing the weight of a host of applications used across a diverse range of sectors. Handling these materials does however present some unique challenges. Find out how these challenges were met. Question three – Can a single masterbatch solve multiple processing and post production issues? Answer fielded by Broadway Colours Ltd.
Broadway Colours have developed ‘Process+ Technology’, this offering many more selectable options than colour alone. Whether to better enable laser printing or add antimicrobial properties, you can highly tailor the properties of a masterbatch to meet your particular needs. Find out more about this technology. We have only scratched the surface of what is now achievable, but in our opinion, the days of masterbatch being simply a way to cut costs are behind us. Whether we need to meet environmental or ethical targets, or simply produce products that can meet more exacting demands, a cost effective solution is available. Read our recent blog about how to accurately deliver a masterbatch or additive in the most economical manner. PlastikCity showcase the leading UK based suppliers of masterbatch. Our easy to use online facility allows you to quickly and efficiently obtain comparative quotes for your requirements.